Looking forward to your other great stuff coming up! Loved the behind the scenes episode of J&R...I always suspected you were the real brains behind the operation! Glad you seem to have such FUN at your job. Keep it up! 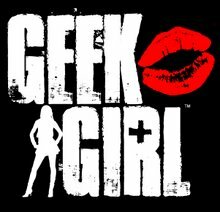 And I really enjoy your Geek Girl blog! chriann!! you are so sweet. i'm actually editing (and hoping to finish tonight) a new podcast--it's the best one yet, i think, and it's just taken me forever to edit it...i shot it this past weekend, so it should be up today or tomorrow!